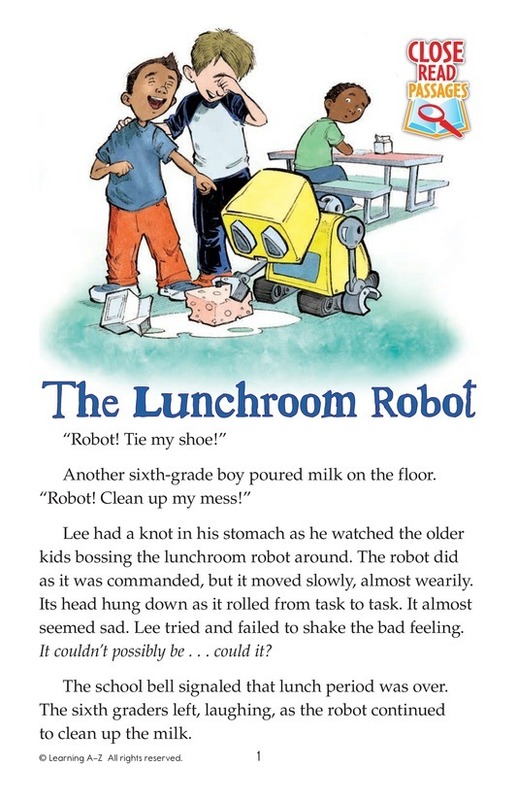 Lee's school has a robot that cleans the lunchroom. Some kids amuse themselves by making messes and ordering the robot to clean them up. 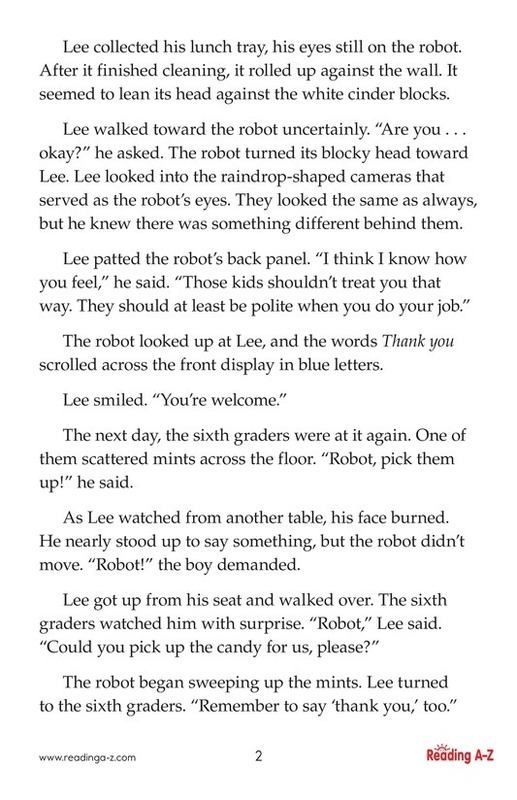 Lee realizes the robot has feelings, though, and speaks kindly to it. Soon he and the robot team up to teach other kids better behavior.